Joomla! 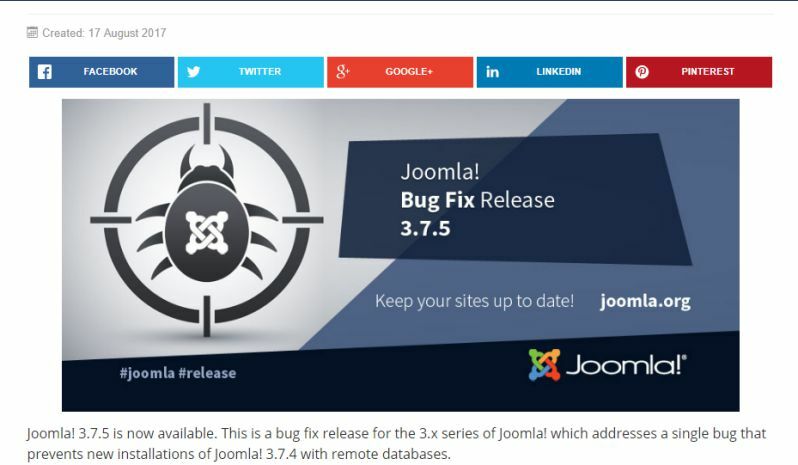 3.7.5 has been released to address a bug introduced in Joomla! 3.7.4 relating to the implementation of additional security checks in the install application designed to protect your web hosting account from being overtaken by a remote attacker. Note that this patch only changes one file in the installation folder so nothing changes for existing installations except the version number. Please see the documentation wiki for FAQs regarding the 3.7.5 release.